One of the benefit to betting online, versus betting in a brick and mortar casino, is that online sportsbooks offer generous promotions; offers that put free money or bets into your pocket. A common type of promotion is the bonus. And if you’re new to online sportsbooks and bonuses, then you need to stick around. I’m going to explain what bonuses are, how they work and how to find the best one. And why you want one. A bonus is a promotion that sportsbooks offer to encourage players to make a real money deposit. These are first time or reload bonuses. A first time deposit bonus is reserved for new accounts that have yet to make their first real money deposit and a reload bonus is for existing customers, encouraging them to come back and visit the sportsbook again. Sportsbook bonuses are usually match bonuses. A match bonus is an offer from the sportsbook that they will match so much of your deposit. This is expressed in terms of a percentage and overall bonus amount. For example, a common match bonus is 100% up to $600. For every $1 that you deposit, the sportsbook will match you $1 up to no more than $600. You can deposit whatever you want, though. Another type of bonus you’ll come across is an instant bonus. This will be a small amount, like $5, $10 or $25. This money will be put into your account instantly, usually as soon as you sign up. No deposit is required. Check out some of our top sportsbook reviews below. It’s important to shop around for solid bonus offers, as most are subject to change depending on the sports season in play. Also, you always want to have multiple accounts so you can shop around for lines to ensure you’re getting proper value on the games you’re betting on. 5Dimes Sportsbook – $520 in new player bonuses. Bovada Sports – 50% instant bonus up to $250. Bookmaker.eu – Best sports lines in the biz today! How Do Sportsbook Bonuses Work? The process behind sportsbook bonuses is simple. To sign up for the bonus, just visit the site you want to place bets at. Then create an account and make a real money deposit. Sometimes a sportsbook will ask for a bonus, referral or marketing code. If so, we’ll have that here on our site. Be sure to use it so that you get the best bonus possible. Then hit submit. Most bonuses from sportsbooks aren’t instant. You have to earn them by placing real money bets. Sportsbooks have these terms in place to prevent others from gaming the system. A clearing requirement could be that you need to wager (or rollover) 20x your deposit. That means if you deposit $100, you’d have to wager $2,000 to clear your bonus. Some sportsbooks do deposit plus bonus, which means you’ll have to wager at least double that amount. Your bonus will either be released in increments or in it’s entirety. If it’s released in increments, it’ll be small amounts, like $5 or $10. You continue along that path until your bonus is completed, or until it expires, whichever comes first. Most bonuses will expire within 30-90 days. In the case of instant bonuses, you’ll still need to clear the bonus, but you won’t be able to keep it. That money is usually for wagering only. However, you can keep the money you win with it. One important thing to keep in mind — if you go against the terms at any point, you run the risk of voiding your bonus money, any money you won with it and in extreme cases, face having your account closed and/or legal action. So you want to make sure you read and follow them. To be clear, the best bonus is relative. It comes down to you. One thing you shouldn’t do is choose a sportsbook based on the size or match of the offer. That’s not the most important thing when it comes to online sportsbooks. Integrity, fairness, banking, games, support and solid support or way more important. With so many rogue or shady sportsbooks online, you want to start with these principles first. Then look at the bonus offers. When I look at an offer what I first determine is how much I can afford to deposit and how fast I can clear the bonus if there is an expiration date. As a rule of thumb, the less money I have and the fewer games I can bet on, the more preference I give to higher match percentages. Your money just goes further. I also give more weight to instant bankrolls. However, if you have a large disposable bankroll, and you have the time to place as many bets as you want, I would look for the largest bonus possible. Especially since time won’t be a factor. Other than that, just make sure the terms and conditions are fair and inline with what you can agree to. 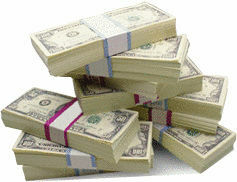 You’ll also want to be on the lookout for bonuses that interfere or prevent you from taking advantage of other offers. Like VIP programs or cashback offers. Either avoid these, or determine what matters most and/or will give you the highest return.